Did you know that majority of psychological, affective and somatic problems have their origin in the mother’s womb? A pregnancy does not start only from conception but much before that. In this paradigm-busting book, Atul demonstrates that the human mind is far more superior and powerful than medication in order to regain control of our health, and how our experiences of intrauterine life can impact our everyday adult life. A provocative and inspiring read! Never before has such an advanced yet simple technique been discussed in print before. This revolutionary psychotherapy technique allows one access into the depths of the unconscious mind so that they might discover the unseen wisdom lived by the fetus and the embryo. Not only does the baby record visual and auditory impressions but it also experiences emotions such as rejection and love. These impressions do not have an analytical language; rather, they have a language of their own in the form of images, sounds, and emotions; and curiously enough, they form the foundation for attracting the rest of life experiences. Atul Kumar Mehra’s research and experience working with his clients span over 18 years. He has helped many adults access and explore their prenatal unconscious memory. By locating, accepting, analyzing, understanding, learning, and integrating these in-utero experiences, his clients have achieved a profound and lasting transformation. 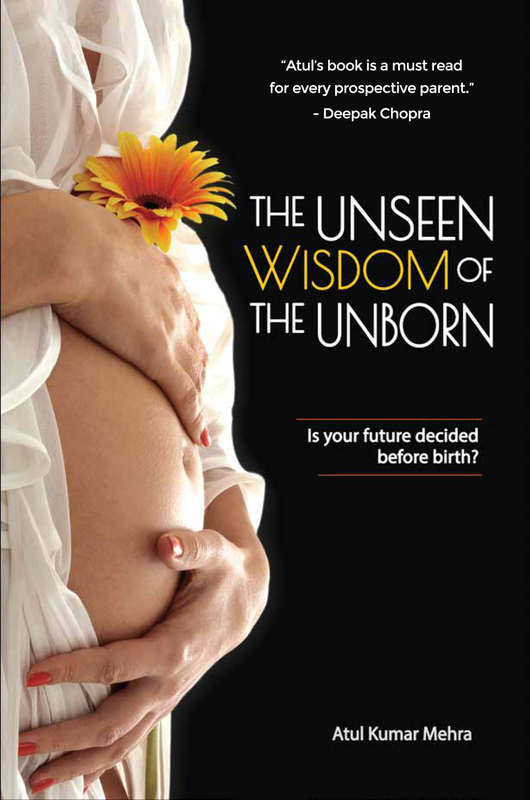 This book distils the collective wisdom of all these individual case studies in order to demystify the unseen mysteries that take birth within the womb. Each one of us has the innate capacity and knowledge to sculpt our lives into a beautiful and joyous work of art. Each one of us can learn to abandon that painful mask of anguish and connect with our radiant inner self. The pages in this book serve as a guide to show you how to break free from negative patterns and reconnect with positive ones. If you are seeking to transform some things in your life, then this book will communicate those key messages you need in order to make them happen. You will receive a copy of the eBook after you complete the payment, directly from me!